Bettye Hyde Co-operative Early Learning Centre (ELC) offers full-time care and learning for children from 18 months to five years of age. 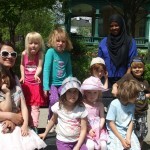 We are located in Sandy Hill, an historic, downtown neighbourhood, in Ottawa, Ontario, Canada. 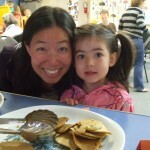 We employ 10 full-time Registered Early Childhood Educators, including our Director, and a Chef. We offer bilingual teaching (French and English) in our pre-school program with an introduction to french in our Toddler program. See our Staff page for more details. For more than 75 years, Bettye Hyde Co-operative ELC has been providing an enjoyable, non-stressful environment where children can develop at their own pace with the guidance of specially trained staff. From a very young age, children enjoy and benefit from playing with others. Development is enhanced and socialization stimulated. 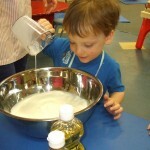 Time spent in an early learning centre is one of life’s best developmental experiences. Named after its first director – a pioneer in the field of Early Childhood Education – Bettye Hyde ELC is a parents’ co-operative devoted to awakening and strengthening that same co-operative impulse in the very young. The school is a registered non-profit charitable corporation, owned and operated by the parents of its students. 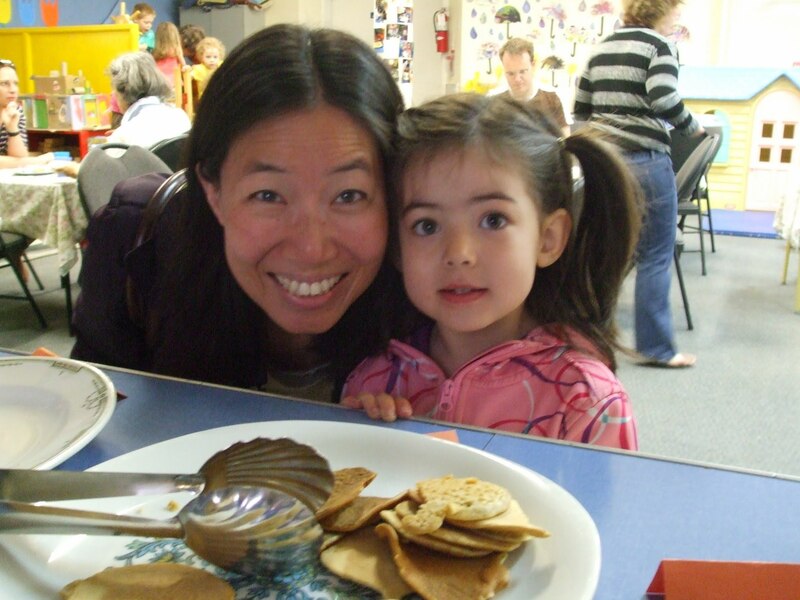 At the school, parents have the opportunity to learn about child development, to participate in their child’s preschool experience and to contribute their ideas and talents to the program. Through the Co-operative’s Board of Directors and the general meeting held in September each year, parents join in the overall organization and administration of the school. In addition, parents play an active part in the school’s operation as they help with scheduled maintenance and fundraising through the year. In return, the school can be a source of support. The daily drop-off and pick-up time as well as school parties and events provide opportunities to meet neighbours and share parenting experiences. Moreover, the school’s Director and Educators will discuss with you the many aspects of your child’s development, in formal interviews or informal chats. Our staff are Registered Early Childhood Educators and are responsible for managing programs that meet the requirements of the Ministry of Education’s Childcare and Early Years Act (CCEYA). Bettye Hyde Co-operative ELC maintains an excellent reputation for the outstanding calibre and dedication of its director and educators. All educators share equal responsibility for activities in the school. 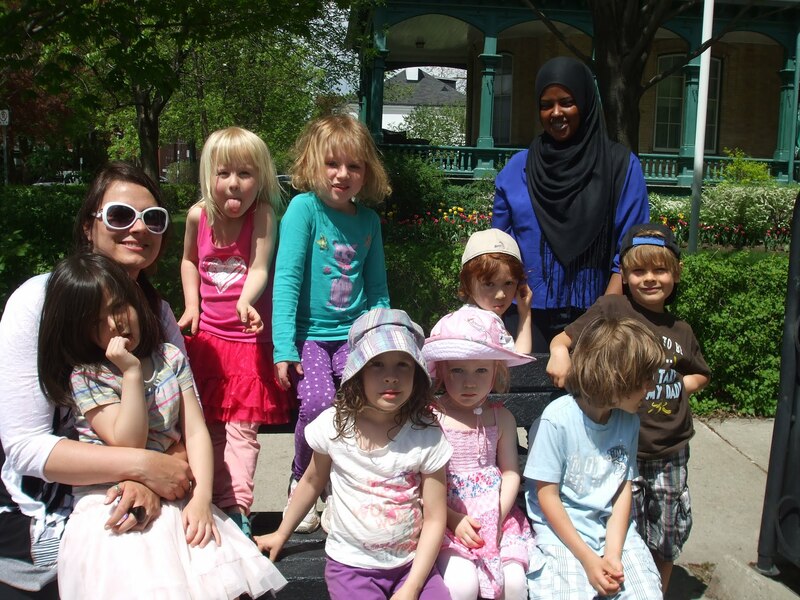 Our school is recognized also as a teaching centre where Early Childhood Educators and students come from time to time to learn from and contribute to the program. In addition to regular teaching duties, the school’s director is responsible for program planning and for the daily management and operation of the school. She attends all meetings of the school’s Board of Directors and also attends all parents’ meetings. Since the group of parents changes greatly from one year to the next, the director provides vital continuity to the operation of the school.